Legal Eagle Contractors is a phenomenal renovation company, widely recognized for experience, outstanding customer service, neatness and trustworthiness. We serve the Southwest area of Houston only. 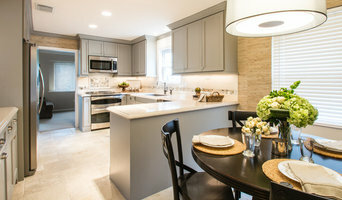 We are full-service residential Design/Build Remodelers and Builders, with decades of experience in remodeling kitchens, baths, renovations and additions of all kinds. Hours Monday -Friday 9:00 AM- to 5:30 PM. We are one of the only remodelers in the City to have a Showroom (The “Idea Center” in Bellaire). 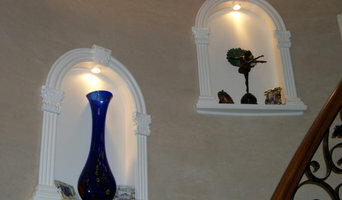 We offer the most artistic design ideas, borne of 37 years experience in remodeling and new construction. Our spectacular projects and reputation for terrific customer service is widely publicized in magazines, TV, radio and newspapers in Houston and across the nation. Contact us for your next project! General Contractor: residential or commercial Interior: kitchens, bathrooms, HVAC, plumbing, electrical, sheetrock, flooring, painting, stairs, attic insulation, attic fans, radiant barrier. Exterior: Security Cameras, Wood/Metal Fence repairs/builds, Pressure Washing, Paver repairs/leveling/cleaning, Fence Painting (wrought iron & wood), 911 Fireboxes rust removal, painting, new decals, Pedestrian PED gates, Welding, cement, and Misc repairs: lights, door closers/locks, door plates, Rust Removal, Graffiti removal, hurricane preparedness, Community Pool Bathroom & cabana Cleaning, BioRemediation (oil spills, contaminant cleanup In-Situ), etc. Custom Home Improvements, Inc. is a full service general contractor and kitchen and bathroom remodeling contractor serving Houston and the surrounding areas. With over 30 years experience in the home improvement industry we offer a wide range of services to accommodate every need in the design, building and completion of fantastic home improvement projects to fit every need of our customers! HGI Remodeling is a family run company with over 20 years of experience in remodeling residential and commercial properties in Europe and in USA. 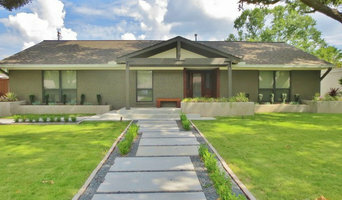 We have built an outstanding portfolio of design and remodeling in Houston. Growing up and working in Europe coupled with often trips there have created a foundation for German quality craftsmanship and fusion of European and American style reflected in our work. All whilst offering superb customer service. Our specialty lies in creating unique and quality spaces that not only give you sense of proud ownership but also force value in your properties. Our clients have been thrilled with our work for many years and now you can experience it for yourself. Go ahead, schedule a FREE no obligation consultation today! MIB Remodeling offers a wide range of services from small remodeling projects to whole house remodeling. MIB Remodeling's sole purpose is to make sure that the customer gets what they have envisioned. It is our job to Make It Beautiful (MIB). We are confident in the quality of our work and we stand behind it by offering a two year warranty on all labor performed. MIB Remodeling takes great pride in our work and we understand that our customers time is valuable. MIB Remodeling strives to complete our work not only to your expectations, but above & beyond. Our customers will always be handled with the highest level of professionalism. MIB Remodeling's customers will always have someone to turn to for support at every stage of the project; before the job starts, during construction and after completion. Every customer is involved in their project as little or as much as they desire. We stay engaged with our customers so that they are informed as to the steps that need to be taken in order to complete the project. If there are any obstacles that come up during the process, it is MIB Remodeling's job to inform the customer and discuss the issue & solutions before continuing on. The Incredible Difference Incredible Renovations is not just a home renovations company, we are a "one-stop-shop," with all the in-house expertise required to complete the job from start to finish. We are the only remodeler in Houston with this capability, and that is why we can give you our solemn promise that every job we undertake is "On Time and On Budget" The Incredible Edge Incredible Renovations has been in business since the 1970's, constructing luxury homes, renovating homes to fit the changing needs of their owners, and making their clients' dreams a reality. Incredible Renovations is a full service residential and commercial remodeling company. Houston's Experts in Custom Flooring and More! With over 15 years of experience, Tell Projects is an expert handyman and remodeling service that does anything between Flood Restorations and Counter-top Installations. Whether you have a quick fix job or a major home remodel, we do all in our power to make your life a little easier. Our team focuses on quality workmanship and innovative solutions. With our focus on quality, not quantity, we are able to show our clients that anything is possible. We are so confident of our value, we offer a whole year guarantee on all of our work! We want to show you step-by-step how you can turn your dream home into a reality, for the right price. We invite you to take the reigns as our partner and pick the design and quality that meets your budget and taste. Craftsmanship by John, Inc. is a multiple award winning company that provides design-build services for building custom homes and remodeling existing homes in Houston. CBJ has won many awards, and earned many certifications over the past twenty years. CBJ provides custom home building and remodeling services, including: home additions, kitchen remodeling, bathroom remodeling and other home renovations. Welcome to Kitchen & Home Design Inc. We are located in Houston, Texas. 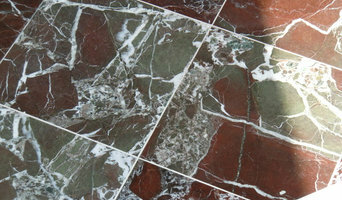 We carry more than 150 colors of nature & artificial stone prefabs and cabinet. With extensive experience in kitchen cabinets and home remodeling we have created strong relationships with our customers. Our Goal is to provide high quality cabinets merchandise. Big City Construction Co has specialized in complete home renovation projects for over 12 years. Kitchens, bathrooms, all types of flooring and stairs. We also sell most renovation products such as hardwood flooring, soild surface products, cabinets, carpet and more. Reach out to Big City Construction Co for more information. Big City Construction Co is an Accredited Business with the Better Business Bureau with an A+ rating and recipient of a Gold Star Certificate for 2011 and 2012. Big City Construction Co strives and continues to provide quality service to its clients and partners. Our goal is to help make your dream a reality. No matter what you’re trying to accomplish with the look and feel of your home, we want to help bring that to fruition. We will sit down with you to discuss your objectives in detail in order to get a clear understanding of your design preferences, budget, timeline and much more. We understand that every client is unique, so we take the time to get to know you! If you have a vision for your home, our contractors are ready to help. From bathroom remodels to kitchen renovations to simple painting and countertop work, we do it all. More importantly, we understand the unique needs of handicapped and elderly people. We specialize in accessibility solutions in the home. By working with you to understand your unique needs, we can customize a solution to fit all your requirements. We are here to help you Improve Your World through remodeling! Kevin Vick owner is the 2017 President of the Greater Houston Builders Association Remodelers Council. KEvin is also a CGR (Certified Graduate Remodeler), GMB (Graduate Master Builder), CAPS (Certified Aging in Place Specialist), and CGP (Certified Green Professional) of Vick Construction & Remodeling provides turn-key home remodeling, additions and restoration services that range from the simplest repair to the most challenging remodel, addition, or construction project. We are a “quality first” driven company which prides itself in improving the world in which our clients live and work. Our projects range from period restoration, remodeling, new construction, additions, to kitchens, baths, family rooms, and more. Family owned and operated since 1979, GB General Contractors is an established residential remodeler. We work with clients from the conception of an idea all the way through construction completion with a proven design-build process. Fine craftsmanship, attention to details, timely delivery and dedication – the GB General Contractors team has reached and grown beyond the professional level of work our clients have come to expect. Over the years, a continued hands-on motto and expansion into custom home building has given us the experience to take on any type of contractual work. 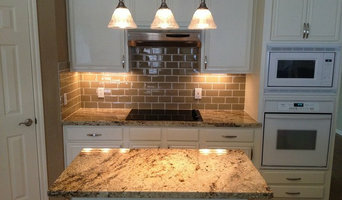 We are a complete turnkey residential remodeler specializing in high end kitchen, bath and ADA remodeling. We provide a one stop shop approach for your home construction and remodeling needs, taking you from the initial design phase of the project through completion. We understand value and work closely with the homeowner to incorporate design, space layout, structure, and aesthetics to fit within their lifestyle and budget whether it’s a kitchen makeover or construction of a new custom home. By gaining a true understanding of our client’s priorities, the construction phase goes faster, easier, and is far more cost-effective. At GB General Contractors, we are committed to excellence. We maintain high standards with regard to job site cleanliness, green building practices and consistently complete work on time. We are focused on building long lasting relationships with our clients. This philosophy and our hard earned reputation has set us apart as a recognized leader in home remodeling and new construction. Our former clients, many of whom have become family friends are our best spokespeople. Feel free to reach out to us, we would love to hear from you! Heavenly Homes has been serving the greater Houston area for nearly 14 years by providing stylish, award winning, home designs and construction services. We created the Heavenly Homes system for our clients to provide a complete turnkey package, so that no matter what your home design or construction needs are, you have one place to go from conception to completion, instead of many. This streamlines the process, letting you enjoy the creation of your ideas as they become a reality. At Heavenly Homes our heart is in your home. We are a locally owned and operated company that values honesty and integrity and treats your home as if it were our own. We offer a variety of General Contractor Home Improvement services that are customizable to each individual project. We specialize in Additions and Kitchen Remodels, but also offer a wide range of expertise for a variety of other projects. We pride ourselves on the quality of our work as well as our commitment to outstanding results. We look forward to building lasting relationships and guarantee your satisfaction!